Located in Echo Park, a dense neighborhood on the edge of downtown Los Angeles, the Patton Street Park and Community Garden Project is a .4-acre site adjacent to a City of Los Angeles Recreation and Parks Community Center. 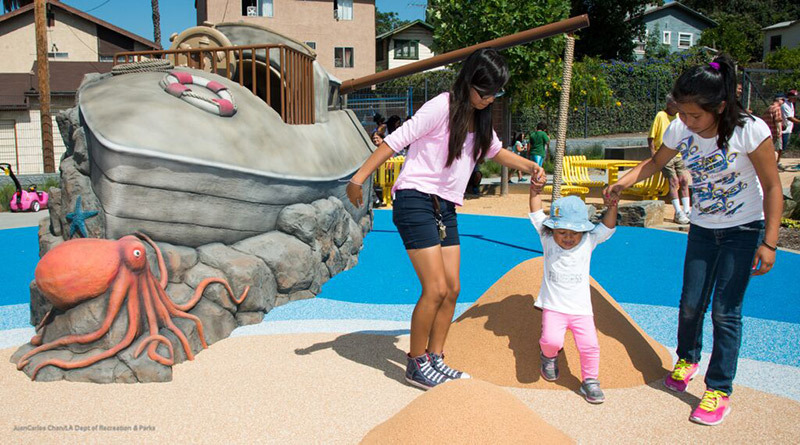 As there are many families with small children who have no place within walking distance to play, the development of this park will meet a huge demand for outdoor open space and play areas in the neighborhood. The park now features a playground, fitness equipment, and small picnic area and community garden. The project is a partnership between The Trust for Public Land and the City of Los Angeles Recreation and Parks.